Awesome! You are part of a review cycle; either a Best-Self Review™ cycle (only self and manager reviews) or a 360 Review cycle (self, peer, manager, and upward reviews). Your role as a participant will include completing a self review, and may also include peer reviews, an upward review, and/or manager reviews. Self review: You will complete a review of yourself. Peer review(s): You will complete a review of your peer(s), and visa versa. Upward review: You will complete a review of your manager. Manager review: Your manager will complete a review of you, as their employee. If you are not a manager, you will not complete any manager reviews. The day the review cycle starts, you will receive an email from your review administrators. The email will include details about the review and deadlines that you should keep in mind. You can click the link in your email to be directed to your self review. You will receive additional emails along the way notifying you of deadlines, prompting you to act, and reminding you to complete upcoming tasks. They are listed below (if applicable to your cycle). Time to talk about how fantastic you are! This is your opportunity to share your strengths, paint a picture of your career vision, express the challenges you have overcome, and document any other important information. If you need help remembering past instances, there is a box you can reference at the bottom of your assessment. You must complete your self review before the self review deadline. This deadline will be listed in the 'Overview' tab of the review cycle. You can click on the link from your kick-off email to get to your self review. If you are already in app or aren't in your email, you can follow the steps below. Under 'Your review to-dos', you should see a 'Write self review' button. Click on this button to begin your self review. Fill out your review (note there are resources for you at the bottom of your review) and 'Submit'. NOTE: Your manager will be able to see your self review as soon as you submit it. Once your self review has been completed, your manager will get a notification and will be able to see your review. You can freely edit the review up until your manager has seen it. If your manager has already seen your self review, you have to request to edit and your manager has to allow editing. At the bottom of your Overview page, you will see a section called 'Review Progress'. Click on the '...' to the right of your progress, and then click 'View'. Once you are looking at your report, there is an 'Edit review' button on the left side navigation. Make your edits and don't forget to 'Resubmit'! If you are wondering who can see your self review, the answer is easily accessible from your self review itself. On the left side navigation of your self review, there is a 'Review details' box. Transparency settings for your review are listed in this box. Click 'Learn more' to get a list of people who can see your self review. Depending on your peer review deadlines, you may be nominating peers and completing peer reviews at the same time you are working on your self review. The biggest issue we see with the peer nomination/review process is participants who do not nominate peers in time. Let's talk through the steps and timeframes, so you are aware of what actions to take. NOTE: The peer review process includes two sides; you nominate peers to review your performance and your peers nominate you to review their performance. On the 'Overview' page, you will see a button labeled 'Manage peers'. Click that button and use the drop down menu to nominate your peers. You can get back to the nomination screen anytime during the cycle by clicking the 'Peer nominations' tab. This is when you have been nominated by a peer to review their performance; YOU reviewing your TEAMMATE(s). Their manager will approve or deny you as one of their peers. If their manager approves you to be one of their peers, you need to accept or decline the nomination. Remember that if you accept 15 nominations, you are going to be asked to complete 15 peer reviews. You will complete your peer reviews during the peer review window. See the 'Overview' tab to check the peer review deadline. Click on the name of the cycle you need to access. It will be under the 'Active review cycles' section. See the 'Peers who have nominated you' section and accept or decline the nominations. You have accepted peer nominations and now it is time to write your peer reviews. Complete your peer reviews and don't forget to submit. The peer's manager will receive a notification that you have completed a peer review. The peer's manager will look over your peer review and can remove items that are not constructive. Depending on the review cycle's settings, this peer's manager may or may not be able to see the peer review author (you). Your peer reviews will not be shared with the co-worker you reviewed until their manager shares the results. This usually is the very last step in the review cycle. Depending on the review cycle's settings, your peers may or may not be able to see the peer review author (you). On the flip side: Your peers will complete their review of you during this same window. When your manager decides to 'Share results', you will be able to see the peer reviews that are written about you. You will go into your 'Reviews' tab in 15Five. From the 'Overview' tab, you will see a button labeled 'Write peer reviews'. Click that button to complete your peer reviews. You can get back to the peer review screen anytime during the cycle by clicking the 'Peer nominations' tab, and then clicking 'Go to peer review'. In order to have a review cycle that is 360 degrees, you also need to review your manager's performance. This is your time to offer constructive feedback; the goal is to help your manager grow in their leadership position. The questions selected by your review admins should help guide your thought process during the upward review. After you have submitted your self review, you will see the option to complete an upward review. Complete your upward review by the 'Upward review deadline' and don't forget to submit. See the 'Overview' tab for the upward review deadline. When you submit your upward review, your manager's manager will receive a notification. Your manager will not be notified of the submission and will not be able to see your review at this time. Your manager's manager will review the upward review you completed. Depending on the review cycle's settings, your manager's manager may or may not be able to see the upward review author (you). Your upward review will not be shared with your manager until their manager shares the results. This usually is the very last step in the review cycle. Depending on the review cycle's settings, your manager may or may not be able to see the upward review author (you). From the 'Overview' tab, you will see a button labeled 'Write upward review'. Click that button to complete your upward review. You can get back to the upward review screen anytime during the cycle by clicking the 'Overview' tab, scrolling down to 'Review progress', clicking the '...', and then clicking 'View'. Your self review, peer review(s), upward review, and your manager's review of you have all been submitted. Your manager is now preparing the Summary to share with you. 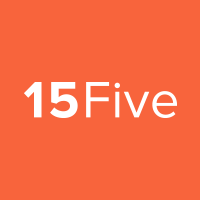 15Fives suggests that managers meet with each of their reporters to discuss the information from the review cycle. After this meeting takes place, your manager will finalize the Summary and share all reviews with you (including their manager review of you and any peer reviews from your co-workers). From the 'Overview' tab, scroll down to 'Review progress'. Click the '...' and then click 'View'. You will see a tab labeled 'Summary' with the results. NOTE: Once the Summary has been released to you, all peer reviews and your manager's review of you will be released also. To see these reviews, follow the same steps as above and click on the 'Peer' or 'Manager' tabs. Are you also a manager and need help with your team's reviews and summary? If you would like to view and analyze review data for your own reviews, you can download or print the results from within your review page. Click the '...' next to your name, and then click 'View'. There will be a gear icon toward the top right of the page, across from your name. Click the gear icon and then 'Print'.